Jack Goes ROK was a collaborative songwriting and production duo consisting of Jack Rascal and kRedabilly, two summer loving Sydneysiders from Italy and Korea. 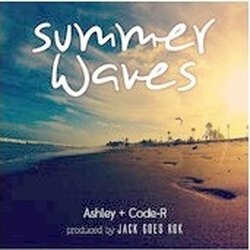 Their debut song Summer Waves featured 2 uber talented Sydneysiders; up and coming rapper / boxer Code-R from a Lebanese background, and soulful songstress Ashley from an Islander background. And both were only 17 when they recorded the song! Headspace, the national youth mental health organisation supported the song and a proportion of proceeds of online sales will be going to support a worthy cause. Check out Summer Waves and enjoy or reminisce about the good times! Song celebrating summer, good times with friends, family and sharing moments with the one you love. World Peace haha.